Living in Florida we know how extreme weather can dictate how you maintain your house. If its dry for a long period of time you make sure your flowers are getting enough water, your grass is cut and there nothing out of place on your lawn. Some might do this because they dont want their neighbor's house to look better than theirs and some might do it to make their house look the best it can be. Either way, being a Clearwater roofer for many years we noticed homeowners are overlooking the first line of defense which is your roof. If you own a home long enough you will eventually experience roof damage. In fact, there are some homeowners who build new houses and sell before things break down. If you don't have that luxury, weve put together a couple things to help you understand your roof a little better. Your roof is not designed to last forever. You can expect to get about 15-20 years out of a roof if its maintained and no major damage has occurred throughout its lifespan. If you have a metal of tile roof you can get a little more life out of it, but it depends on where you live. In some situations, your home will experience wear and tear faster purely based on your location. For instance, if you live in an area that gets a lot of snow and hail you need to make sure you are getting your annual roof inspections as you are more susceptible to roof damage. You may be thinking what is hail damage and how does it hurt my roof? Most people might look at hail as an extension of snow and may think its slightly harder than snowflakes. The thing you need to keep in mind when it comes to hail is that it comes in many sizes. You wouldnt think of something the size of a quarter able to cause any damage, but when you have hundreds of quarter-sized hail hitting your roof from high altitudes, it will lead to roof damage. 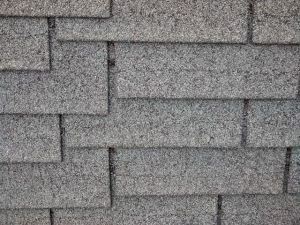 It compromises your shingles over time making it hard to stand up to new weather conditions. Now thats just quarter-sized hail, but you can experience golf ball or baseball sized hail as well. This is where you hear of car windows being blown out and car roofs being damaged. Needless to say, if you hear the word hail you shouldnt take it lightly. We know hail doesnt hit everywhere and you might not have even have seen hail in your area since you lived there. That does not mean you are in the clear. Strong winds can cause a lot of damage too. If you think your roof is about 10 years old or older and you cant remember having a single roof inspection you need to call your local roofer ASAP! I dont have to tell you the risks of living in a house that is unsafe. Being in or near major cities there are a lot of roofing companies to choose from that all claim to be the best. Also, there are a lot that are out to just take your money and run. These days with the help of the internet you can do your due diligence by checking google reviews, Better Business Bureau, social media channels and of course word of mouth. Not to blow our own horn, but Terrance McKeever Roofing has been making home safe for many years and treat each home like our own. Schedule your roof inspection today and put your fears behind you. We would love help you!